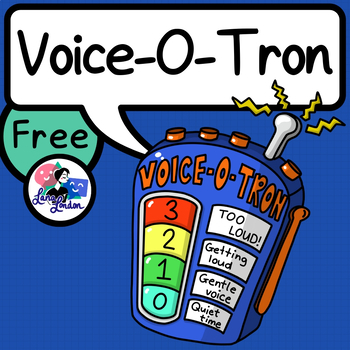 The Voice-O-Tron is great for encouraging healthy voice levels. This volume meter freebie is great for teaching volume control and as an adjunct to voice therapy. 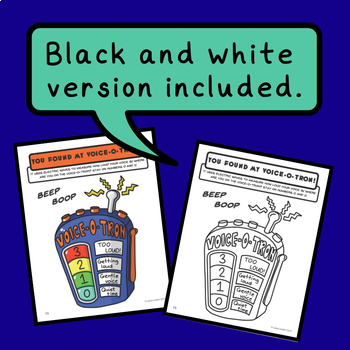 Print the Voice-O-Tron out and laminate it for an on the go resource to help kids self regulate their volume. You can reference voice through the Voice-O-Tron numbers (e.g., ”You’re at level 4 - too loud!”), colours (e.g., “You’re voice is at green! Perfect!”), or descriptors (e.g., “Gentle voice please!”).. The Voice-O-Tron is part of my vocal hygiene product, 'Captain Voice and the Noxious Nodule'. For more tips on how to use the Voice-O-Tron and more see the full product here!